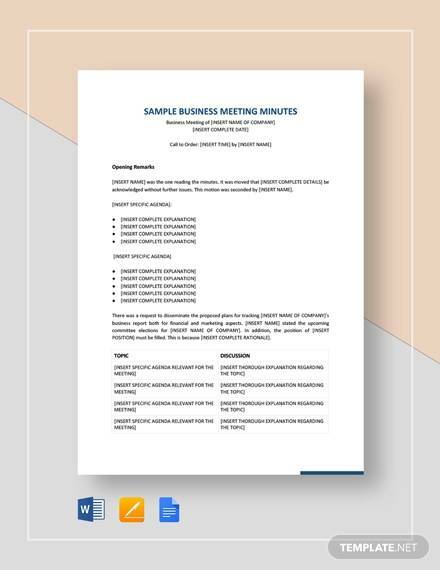 Meeting minutes is one of the most tangible records that you can have regarding the meeting that you just had with a team. 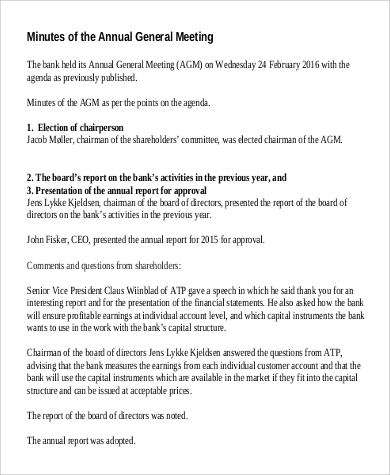 It is considered to be a good source of information for what everyone involved thinks about the meeting agenda. It helps to clarify the expectations that one might have regarding the agenda. 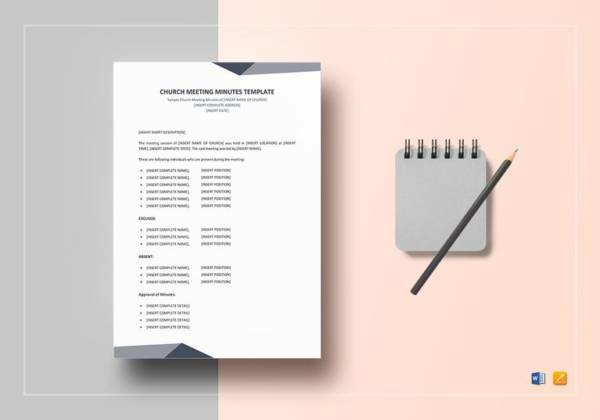 If you have been assigned to be the secretary of your meetings, you can take a look at this article for some guidelines and references that can help to make your task way easier than you think it is. 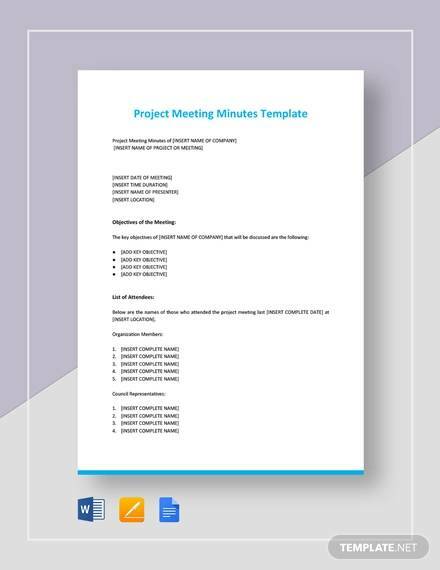 We even have project meeting minutes templates to download right from this very article. Ready? Read on! Writing meeting minutes should never be deemed as a complicated task. There are a few simple methods that you can follow that would make your minutes look polished and organized. Here a few tips that we would like to share with you. Bring something to take down notes with. It can either be a laptop, a notebook, or a few pieces of paper. Anything that you would consider to be a good material to take down notes with would be fine. 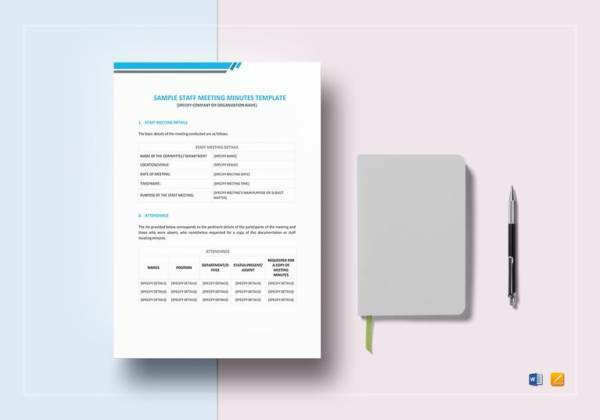 You may even have a device to record the meeting minutes for transcribing later on. 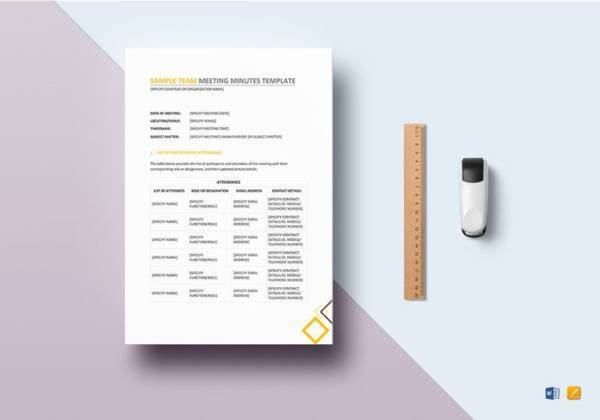 Check out some useful meeting notes that will surely come in handy. Prepare an attendance sheet. 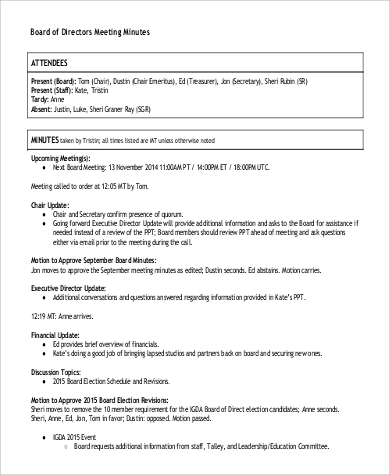 This will be something that you can pass around to those who are involved with the meeting to list their name down. 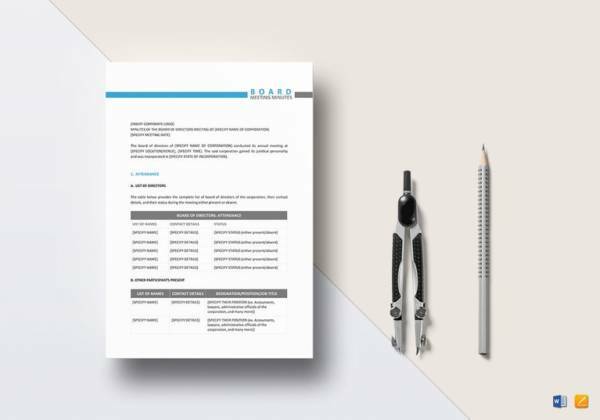 You can take a look at our Attendance Sheet Templates to give you a good idea of how your attendance sheet should look like. Start jotting down your notes. 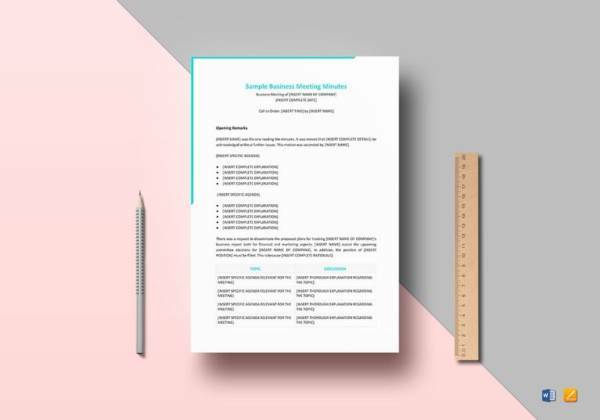 With your prepared meeting minutes template, start filling out all of the fields. 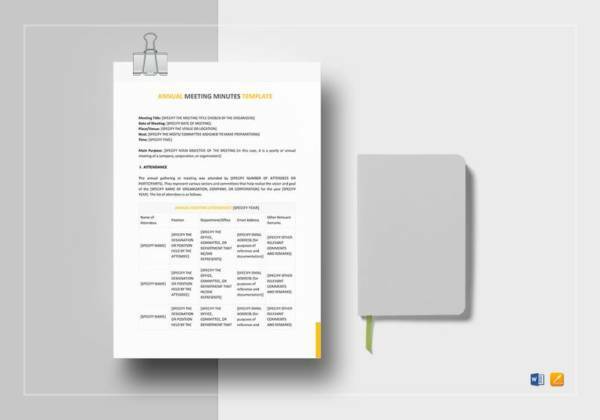 Before the meeting starts, start writing down a few basics such as the name of the organization and the type of meeting you’re having. 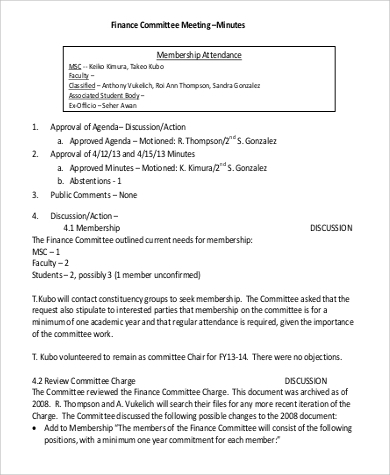 If a notice for the meeting was sent out to the participants, you have to make sure to attach that notice alongside your minutes. The name of the person who proposed the motion. Results and the number of people who voted. Listen and obtain copies of reports. 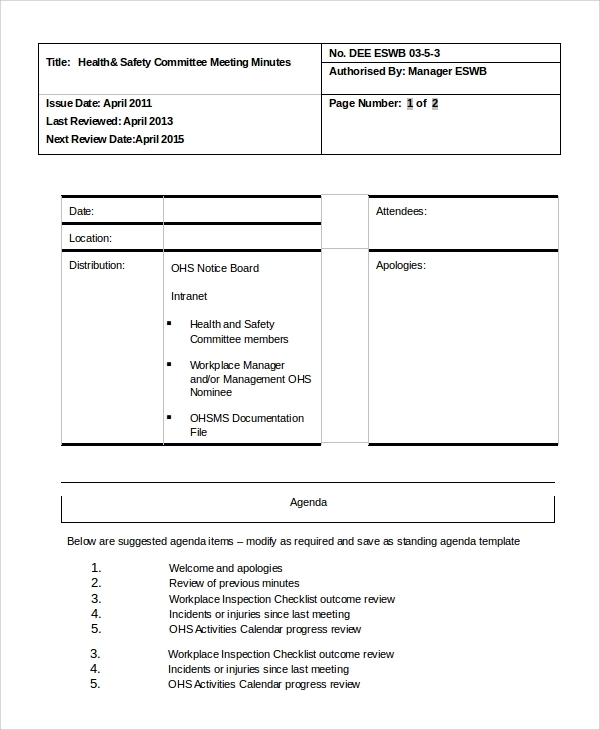 Make sure that you take down notes of who read the sample report. Politely ask the reader of the report where he/she got the copy of the report especially if you cannot find the copy on the Internet. Record assignments. Make sure to keep track of who is assigned to what. If there is a reason as to why the person was assigned to the specific assignment, write it down as well. Summarize the discussions. Be as objective as possible and make sure to include any concrete points. Wrap up. Take note of the end time. 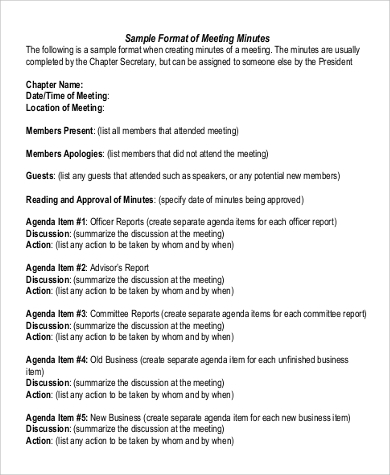 Make sure to record the time that the meeting has finished. 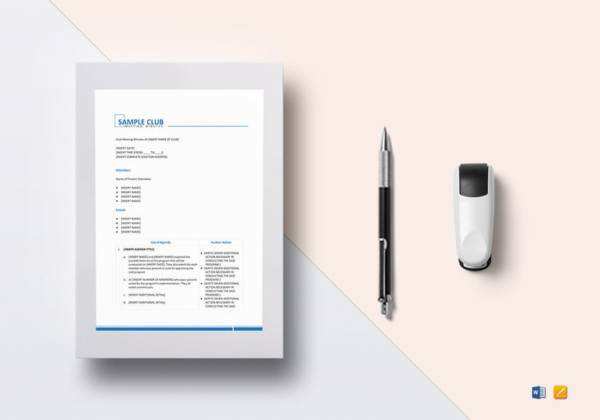 Take a look at your notes and see if you are missing any details. Do this as soon as possible. It would be great to do this while the events that happened are still fresh in your mind. Start typing. It would be better to use a computer to do your transcribing as you will be able to make corrections easily. Organize. Make sure you organize your minutes into neat paragraphs. 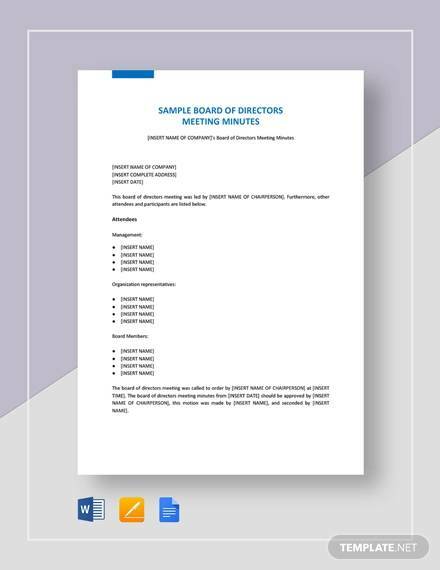 Make use of lists and bullets as this makes it easier to read the meeting minutes. 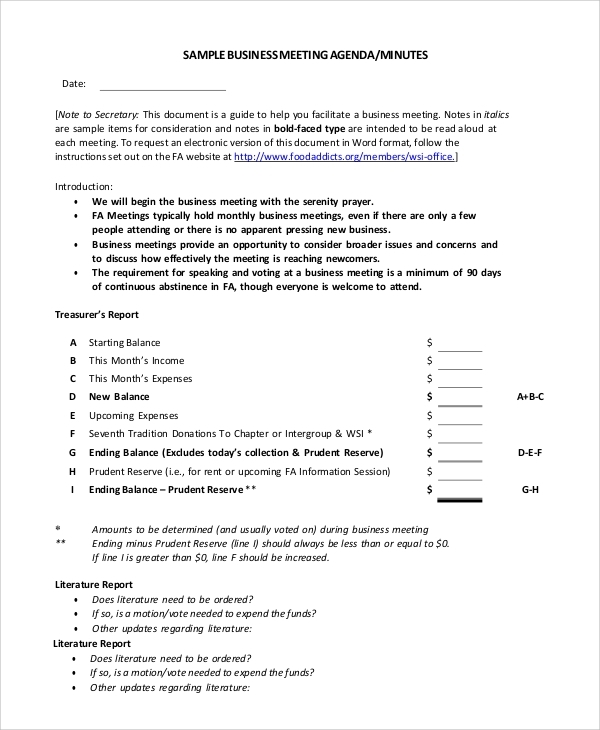 Utilize a meeting summary template as a guide and to help make things easier for you. Make use of simple language. 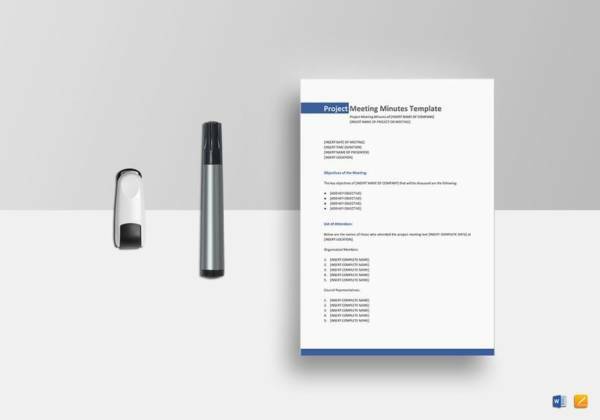 When transcribing the meeting minutes, make sure that you write in a clear and simple manner. Make copies. 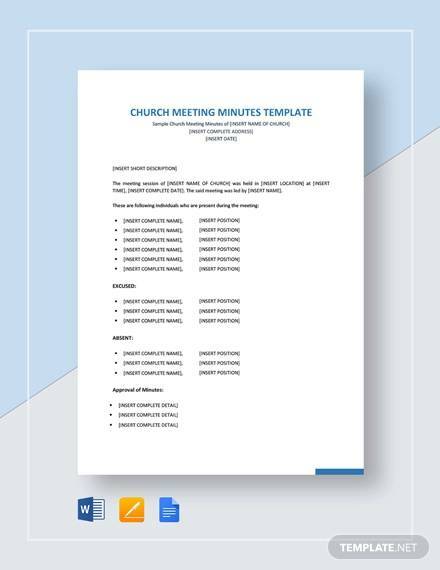 Give the members of the meeting a copy of the minutes. You can send it via email or you can print out copies to hand it out to them. 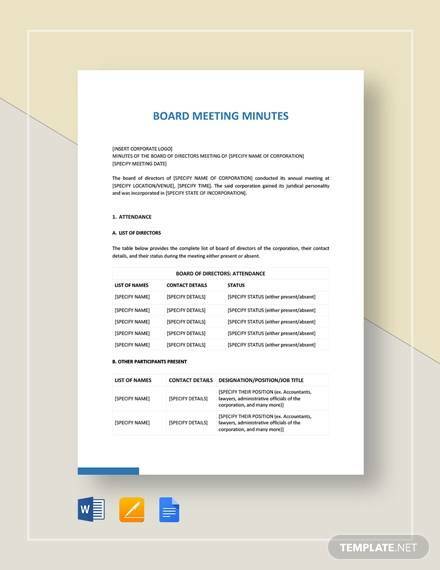 If you do not have their contact lists, you can ask the facilitator or the chairperson to disseminate the meeting minutes. 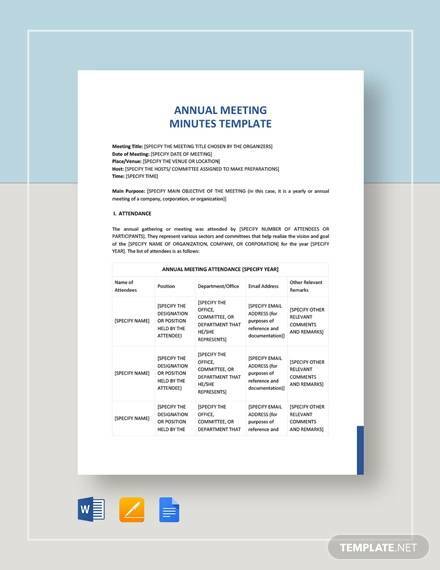 This article has a wide variety of meeting minute format samples available for your use. So how can you make the most out of the samples we have uploaded here? Keep reading to find out how. 1. Pick a template of your choice. 3. Add your company/organization’s specifics. You can start adding your logo, your company name, and copyright signs. You can start changing the fields to the ones that you feel you can make use of. Customize it according to the needs of your company. How to Write a Last-Minute Research Paper ?